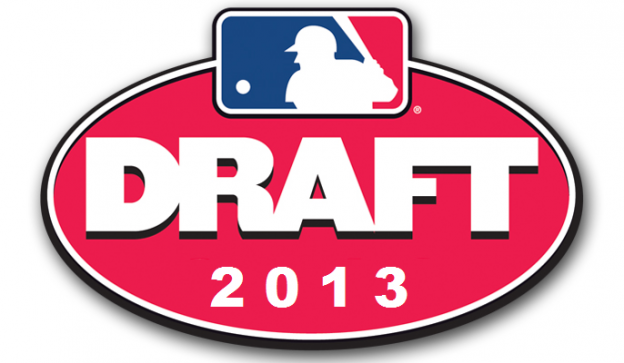 With no Cubs game today, it makes sense to shine a light on the Minor Leagues. We cover every level of Cubs baseball here on the blog, and recently it has been a lot more fun than writing about the Major League club as the future offers a bit more promise, I think you agree. The Daytona Cubs open the season this week, Thursday to be exact, here is their opening day roster. This roster might be tweaked before then, but here is how it stands at the moment. There are a number of intriguing arms that will start their season at Daytona this year, Arodys Vizcaino has to be at the top of that list. Some might be surprised by seeing his name here, but he is coming back from a long recovery from two different elbow procedures. Slow and steady wins the race here as the Cubs are very high on Vizcaino, there is no reason to start him any higher. I’m very excited to Rob Zastryzny starting at Daytona this year, the left-handed starter was the Cubs second round pick last year. That’s right, this is his first full professional season, and he is starting at high A, that’s something to be excited about. I enjoyed watching Tayler Scott at Kane County last year, and think that he could start making a name for himself this year. 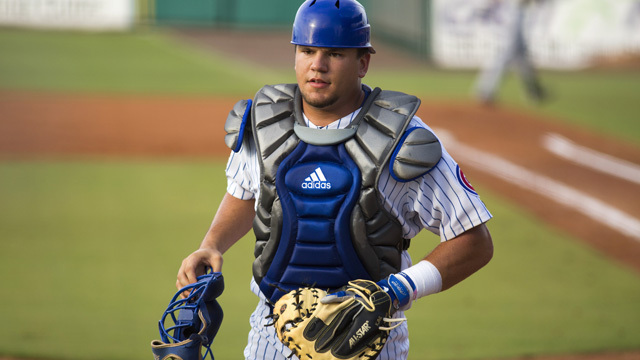 Scott was a 5th round draft pick of the Cubs in 2011, and has jumped a level each professional season. This is a very exciting roster, and is basically the same group of guys that made Boise so entertaining two years ago, minus a few players here and there. 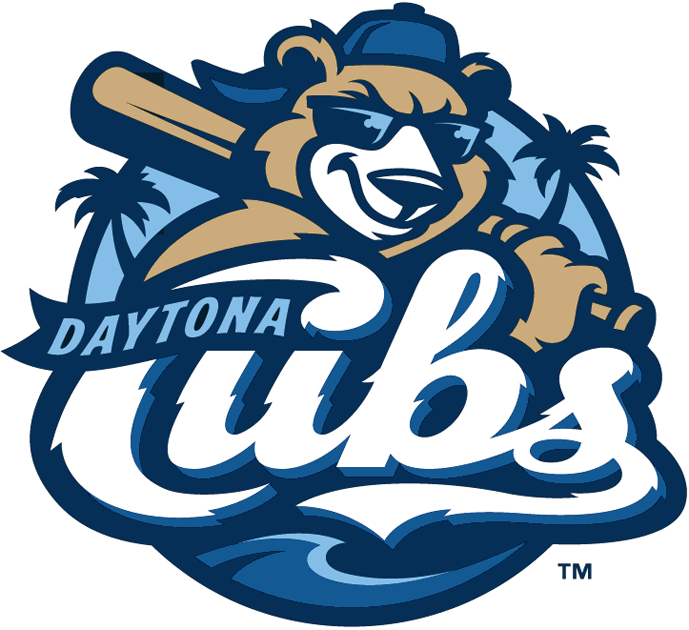 For an organization with little catching depth, the Cubs boast three solid ones at Daytona. My favorite backstop has to be Chadd Krist, Krist was drafted in the 9th round of the 2012 draft by the Cubs. In two professional years, Krist has played at four different levels, and I expect him to play at two more this year. He finished 2013 at Daytona, and if he displays the same approach this year as he did last year, then Tennessee will be calling. Where to start in the infield? Amaya and Candelario are going to be a lot of fun to watch as they continue their ascension in the Cubs system. Both guys were signed by the Cubs as non-drafted free agents, and both are considered to be top-20 prospects in the Cubs system by MLB.com. All eyes will be on Dan Vogelbach, and Albert Almora this season, and I don’t think either guy will finish this year at Daytona. Almora was sidelined for parts of he first two professional seasons, but his production while on the field has been outstanding. He played all of 2013 at Kane County and finished with a .329 average, and an .842 OPS, he’s heading to Tennessee shortly. Vogelbach was originally though of as an overweight, monster power designated hitter when he was drafted. The only thing he has done since then is work hard in order to make his own opportunities. Since he was drafted, Vogy has lost all sorts of weight which has allowed him to improve his defense, but he hasn’t lost any of the power. 2013 was a big one for Vogelbach, he played at Kane County and Daytona, registering 19 home runs, and 76 RBI’s, he will be in Tennessee at some point this season.